The SiriusXM events are always a Miami Music Week highlight – and this year, the satellite radio showcase was an intimate affair. The SiriusXM House of Chill took over the Pao terrace at the Faena Miami. Some of the finest names in dance music, including Kaskade, Above & Beyond, Autograf, and Lost Frequenices took to the decks for a downtempo ensemble. Back-dropped by breathtaking views, the show which was soundtracked by dance music’s bests, was undoubtedly one for the books. 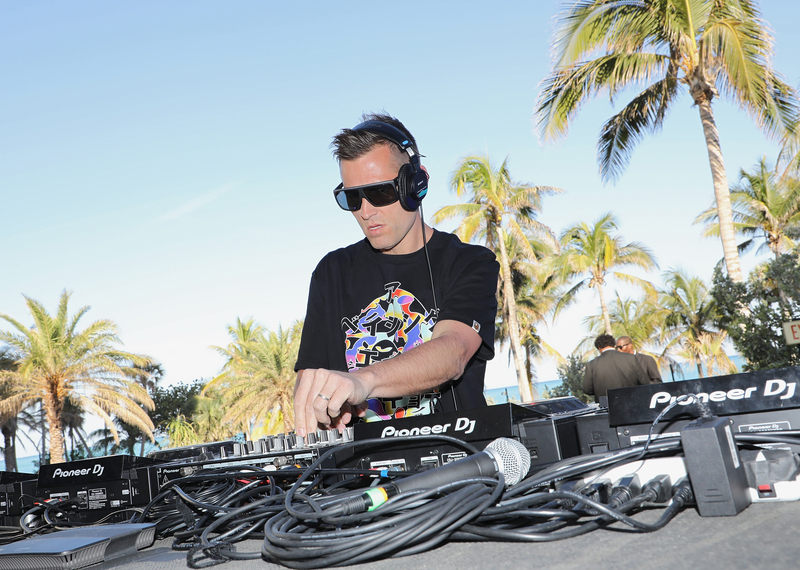 Ryan Raddon, better known to electronic music lovers as Kaskade, took to the decks at 5pm for the start of House of Chill. Starting things off with BLR “Böda” and his own “Atmosphere,” the mood was set from the very beginning. As guests entered the House of Chill, Kaskade’s Redux continued with his new “Cold As Stone” feat. Charlotte Lawrence, “Samba Love,” and Waste Love” feat. Quadron. From his ICE remix of “Lessons In Love” feat. Neon Trees, to his Galantis collaboration, “Mercy,” Raddon really set things off right. The intimate setting was picturesque for latter familiar set tracks like “4AM,” “Eyes” feat. Mindy Gledhill, “It’s You, It’s Me” feat. Joslyn, “Angel On My Shoulder” with EDX, L’Tric vs. Fleetwood Mac “Dreams,” and his closer, “Fakin It” with Felix Cartal feat. Ofelia K.
Above & Beyond, who are known for their emotional trance sets, are no strangers to the deep side. In addition to their famed Anjunabeats label, the guys also release deep tunes under Anjunadeep. Jono and Paavo serenaded the patio with a beautiful deep set consisting of a remix of “Lie Alone” from 16 Bit Lolitas, Gabriel & Dresden feat. Jan Burton “Underwater,” Lane 8 & Kidnap Kid “Aba (Luttrell Remix),” and their own homage to Detroit, taken from the Common Ground album, “Northern Soul” feat. Richard Bedford, in the Ben Böhmer remix.